There’s nothing groundbreaking about this new show from Derby’s Uncontained Arts. But sometimes it’s OK to just tell it like it is, and Treasure Island has enough unusual characters and exciting plot developments for them to get away with it. 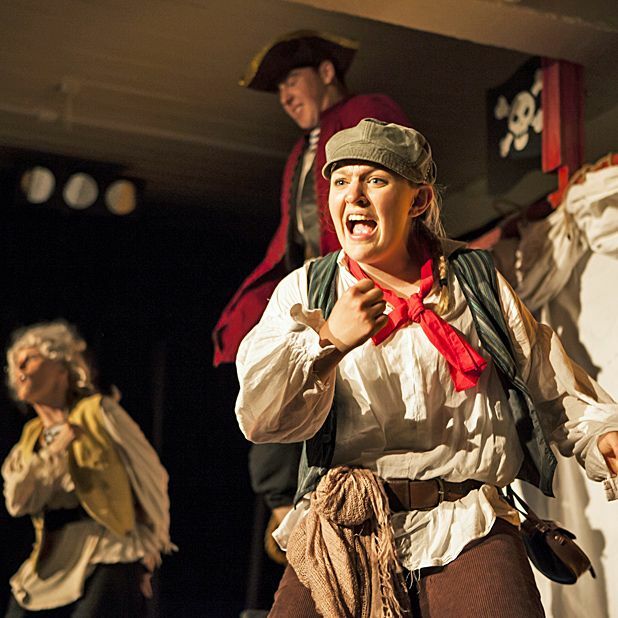 Building up a warm rapport with the audience, largely by the amount of times we’re asked to say ‘aargh!’ during the show, the actors set the scene for some comic silliness. With characters dashing back and forth from behind the set, or sticking their head over the top, the show plays like French farce meets Saturday morning kids TV – which is no bad thing. Some of the performances are stronger than others, with a new silent character bringing in the laughs, as does the performer taking on the duel roles of Billy Bones and Captain Smollett. But this is an ensemble piece at heart, and the young cast works hard to keep the pace up and the audience engaged. Gilded Balloon Teviot, 622 6552, until 27 Aug, 12.15pm, £7–£8 (£6–£7).